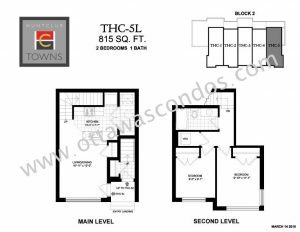 Huntclub Towns Condo Ottawa is a new townhouse development by Theberge Homes at 3700 Downpatrick Road, 301 Terravita Private and 315 Terravita Pr, in Hunt Club. The development has a total of 67 units. The units range from 815 to 1,909 square feet. 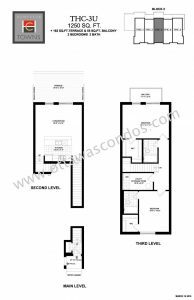 The units feature large windows, 8ft to 10ft ceiling height, balconies and ceramic flooring in all bathrooms and kitchen. A single car garage and one surface parking spot are also included with the townhomes. All units also include 6 appliances. 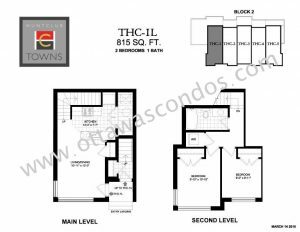 Huntclub Towns Condo Ottawa is located in the south end of Ottawa, just minutes away from the Ottawa International Airport. All amenities can be found nearby on Hunt Club Rd and Bank St. The South Keys Shopping Centre is just a short drive away offering residents with great restaurants, a cinema and large grocery stores. The O-Train is also located in South Keys running North and South all the way to Bayview. The Airport Parkway is conveniently located off Hunt Club Dr, offering quick access to the downtown core and Carleton University. Algonquin College is just over a 15-minute commute west. T&T Supermarket is also located just down the road. Ottawa Hunt and Golf Club and Hylands Golf Club are located just minutes away. The Hampton Inn and Holiday Inn are also located just minutes away, perfect for those who have out of town visitors. Mooney’s Bay Beach is a short commute away, a perfect place to relax and enjoy those hot summer days.